While it seems the summer might be drawing to a close... we're still taking every chance we get to make more summer memories as a family. Nights by the fire outside, watching the kids ride their bikes around the neighborhood, or even hitting the theater for those final summer hits! In my family though, it seems like all of my greatest summer memories involve ICE CREAM! Some of my very earliest memories with my mom's family involved all of us kids taking turns sitting on the ice cream maker and cranking it until it was done. If we weren't making it ourselves, we were heading to our favorite local ice cream shop... oh what a treat! Those ice cream traditions have carried on with my own children. When I think about the highlights of our summer thus far... ice cream is at the center. Whether it's waiting on the ice cream truck... or getting ice cream treats at all our summer destinations, it was always the favorite. Ice cream is CLASSIC. 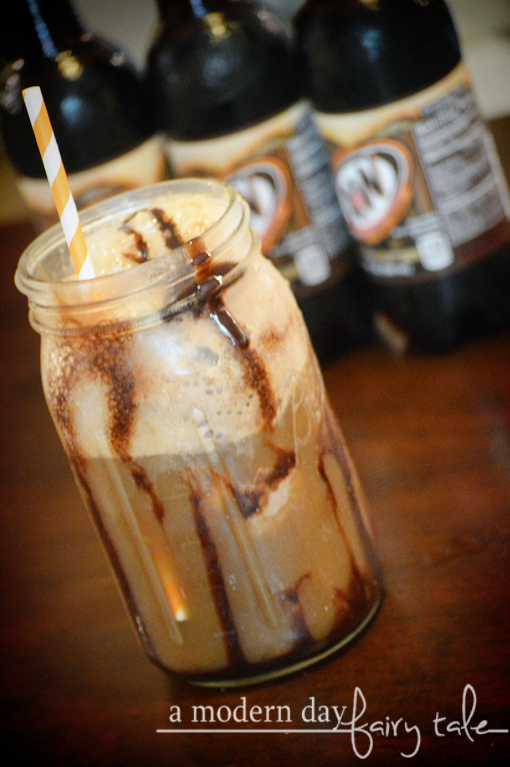 Speaking of classics, nothing is quite as fun or nostalgic as a good ol' fashioned root beer float. It such a classic that it even has it's own day! Today, August 6th, is the official National Root Beer Float Day! That's a holiday I can get behind! 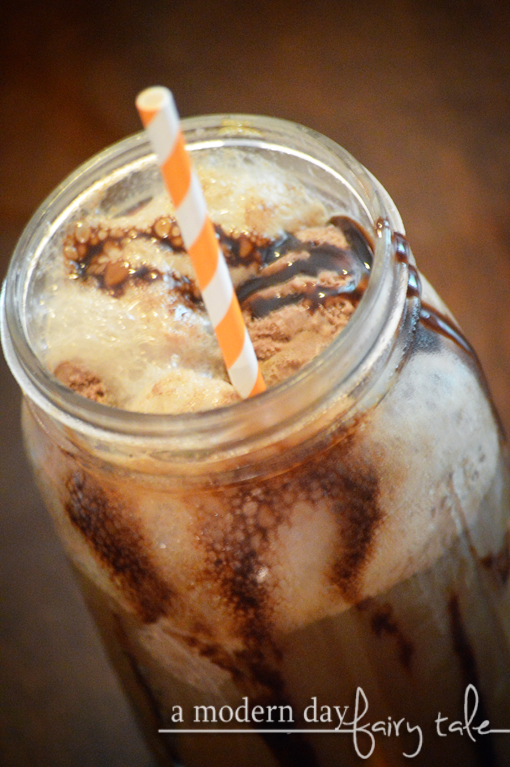 I just love the taste of a root beer float--- refreshing and sweet. Again, classic. And easy too--- two simple ingredients are all it takes. A scoop of vanilla ice cream and some A&W Root Beer. Easy peasy! For the perfect root beer float, you'll first want to start with a chilled mug. Look for something wider and deeper like a beer stein or even a mason jar can work great too. Place in the freezer for about 5-10 minutes. Next up, go ahead and drizzle a little chocolate syrup around your chilled mug... along the bottom, sides, even the top if so desired. Not only does this give it some extra chocolate-y goodness, but it makes it look even better too! Now add a scoop (or two) of chocolate ice cream to the bottom of your mug. We used plain chocolate, but you can go fancier with something with chocolate swirls, or brownie bits... whatever happens to be your favorite chocolate ice cream! Pour in your A&W Root Beer. Your float will froth up, so be sure to pour slowly and carefully to avoid any overflow. Top with another scoop of ice cream and drizzle of syrup if desired. Want to get fancier? Throw on some chocolate sprinkles! Delicious, right? We cannot get enough of this blend of delicious chocolate and root beer flavor--- taking one of our favorite summer treats to a whole new level. 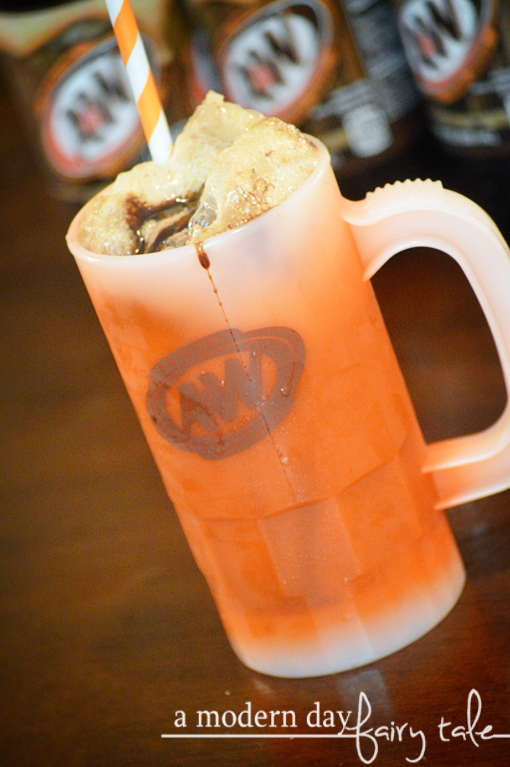 BUT the true key to a delicious root beer float are the ingredients used... and for us that means A&W Root Beer. It's delicious, it's creamy... the perfect flavor not just on its own, but in these floats as well. Don't skimp on the good stuff here! 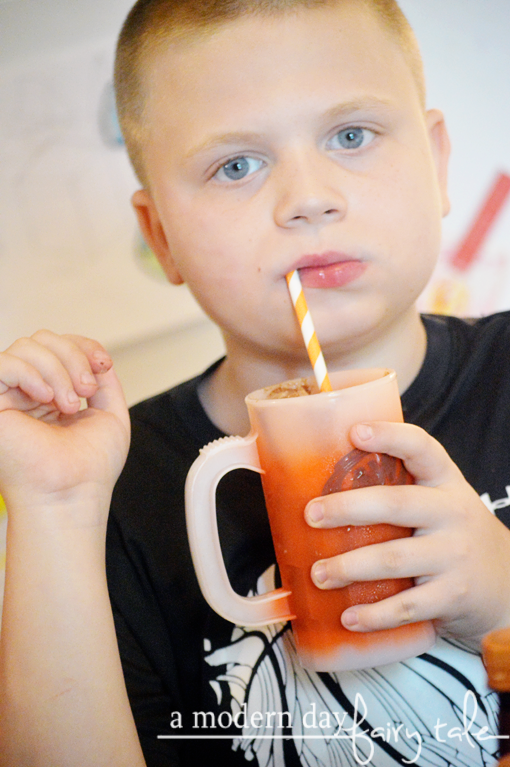 A&W Root Beer truly does help create the perfect timeless family night treat: an A&W Root Beer Float! What a fun way to make ANY moment all the more special! Counting calories? A&W TEN can be a great substitute--- great flavor, but fewer calories! (Though if you ask me, calories shouldn't count if you're enjoying time with the family!) A&W Root Beer has a long history of creating family memories, and I love that I can continue to make those memories with my own family! Ready to celebrate National Root Beer Float Day with YOUR family? Head on over to your local retailers to pick up your A&W Root Beer today! For “float how-tos” and recipe inspiration visit, www.rootbeer.com. 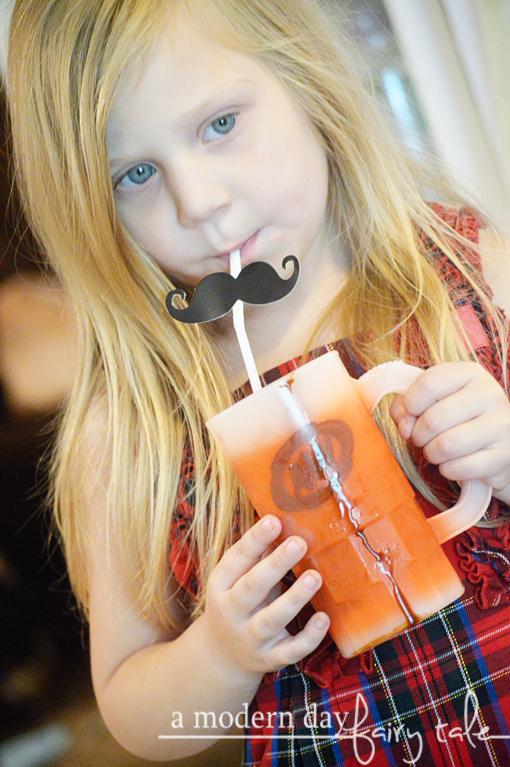 Follow A&W Root Beer on Instagram for more family fun inspiration. Can't wait to try out this recipe. I've never had a Root Beer Float with Chocolate in it -- Sounds delicious!